¤ Vidar Vang (born 1976) was born and raised in Bjerkvik, a small town above the Arctic Circle in the north of Norway. He started to write songs at the age of 17. In 1998 he released a self-financed album, ”Blue”, recorded in his hometown. It was sold at numerous acoustic shows throughout Norway. ¤ After moving to Oslo early 2000 and playing festivals like Quart, Øya, Norwegian Wood, by:LARM and a legendary concert at Kroa i Bø, Vidar got his record deal. On the 23rd of September 2002, Vidar released his official debut album, ”Rodeo”. It was critically acclaimed as one of the year’s best rock albums and received a Norwegian Grammy nomination. ¤ In October 2004, Vidar’s second album, ”Stand Up Straight” came out. ”Here It Is”, the single off the album became a huge hit on major radio stations in Norway. 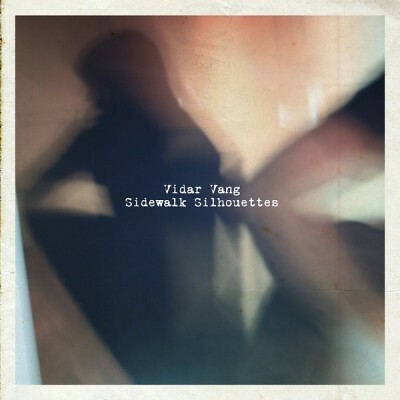 Vidar Vang - "Sidewalk Silhouettes"
¤ A decade ago, Cato Thomassen and Seasick Steve produced my debut album, "Rodeo", at Jukejoint Studio in Notodden. One late night in the studio, after a couple of hours in Steve's well equipped in-house bar, I gained the courage to play Cato some ideas I had for a different kind of record than the one we were making with the band at the time. Songs which were 20 seconds long, instrumentals, songs that consisted of just a chorus or a verse - but also acoustic and different takes on material we were already working on. Cato jumped on the idea, and then and there we decided (as one often does after a visit to a bar) to make that album together. However, we didn't talk of when, how or where. ¤ In November 2010 we met up at Cato's studio on the riverbank of Akerselva in Oslo. I brought along with me 22 songs and ideas, and after setting up a basic sound for my voice and acoustic guitar in the corner of the room, Cato pushed the "record" button. No headphones, no talkback, no red light, no interference, no promo plan, no release date - actually no one had any idea that we were in there making music at all. It was an absolutely liberating experience. It felt like I was playing at home, in my kitchen, where I always seem to find the right vibe. Cato and I had talked a lot about that we this time around wanted to approach overdubbing differently than one normally would on my songs. No pedal steel, fiddle or harmonica (even though one managed to make its way in there) - but 80s keyboards, the Dimension C pedal, Prophet, Stylophone, Hapsichord and so on. We started to play around with some airy keyboard sounds on "Already Gone", and instantly heard a sound evolve. The cinematic feeling I've always been such a big fan of in the music I listen to - whether it's the haunting hums of "Dark was the night, cold was the ground", the longing outro of "Racing in the Streets" or the beautifully scary "Molde Canticle" - became a recurrent term for the sound we were looking for. ¤ No one heard any of the songs until we were done with all of the recordings. We never even brought home a rough mix ourselves. This, I believe, gave the sessions great focus, and strongly consolidated the musical world we created in that room. ¤ Det hele begynte under innspillingen av nordlendingen Vidar Vangs andre album,den allerede ti år gamle Rodeo. Vang spilte og sang idèer, instrumentalsnutter og og halvferdige viser for produsentene Seasick Steve og Cato Thomassen under innspillingen og etter en tur i baren var de skjønt enige om at dette måtte bli en plate. ¤ Utgangspunktet er altså lavmælt fremført av Vang og hans gitar, men her er det hele gitt plenty av pålegg av synther og annet klaviatur, trommemaskiner og vokalharmonier. Det hele fungerer godt til Vidars nydelige og ekspressive stemme og gir de i utgangspunktet enkle låtene en slags skjørhet og ekstra dybde. Til tider kan det bli en smule for tværende og dvelende, noen ganger savner jeg litt trøkk og rock and roll. Men alt i alt fungerer det hele som det skal. ¤ Sidewalk Silhouttes er ingen umiddelbar og lett tilgjengelig lytteropplevelse men gi den noen runder på/i spilleren. Det fortjener den.